The Bifurcation Order discusses (and cites from) a variety of the parties’ arguments concerning jurisdiction ratione materiae, several of which inevitably disclose some of the parties’ substantive positions. With respect to Russia’s request that the arbitral tribunal “adjudge and declare that it is without jurisdiction in respect of the dispute submitted to this Tribunal by Ukraine”, it should be recalled that, under Article 288(1) UNCLOS, the arbitral tribunal’s jurisdiction is limited to “any dispute concerning the interpretation or application of [UNCLOS]”. As Russia’s request to decline jurisdiction is not confined to specific issues or narrow questions of fact or law, it appears that Russia is challenging the arbitral tribunal’s jurisdiction in its entirety. The Bifurcation Order lists six separate preliminary objections. Russia’s first and most notable objection (previously discussed on this blog by Peter Tzeng) is, as predicted by many, that the “dispute in reality concerns Ukraine’s ‘claim to sovereignty over Crimea’ and is therefore not a ‘dispute concerning the interpretation or application of the Convention’”. In other words, Russia argues that the real subject-matter of the dispute is not about UNCLOS but about territorial sovereignty. One can infer from this that Russia might alsobe taking the line of argument that even if some of Ukraine’s claims can be based on UNCLOS, the arbitral tribunal cannot decide on these claims without first making a determination on the territorial sovereignty issue. Indeed, claims based on coastal State rights in maritime zones generally implicate matters of territorial sovereignty. This is because, based on the principle that “the land dominates the sea”, maritime entitlements are generated by territory and thus belong to the State which has a valid title to sovereignty over the relevant territory. The issue of jurisdiction ratione materiae under Part XV of UNCLOS in cases of implicated sovereignty disputes has been addressed in the awards of Annex VII tribunals in the South China Sea Arbitration and the Chagos Marine Protected Area Arbitration as well as in-depth academic commentary (e.g., here and here). While the proposed approaches differ in some aspects, questions (implicated or not) of territorial sovereignty are widely considered to fall outside the jurisdiction ratione materiae provided by Article 288(1) UNCLOS, arguably with a few narrow and still ill-defined exceptions. Ukraine has brought a dispute concerning maritime rights in the Black Sea, Sea of Azov, and Kerch Strait that are established under and defined by UNCLOS. That Ukraine enjoys such maritime rights is recognized by the international community — for more than two decades after the dissolution of the Soviet Union, Ukraine’s continuous and peaceful exercise of the rights now at issue attracted no controversy. 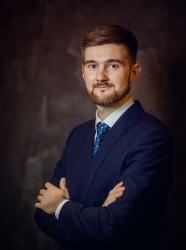 It is a core function of the UNCLOS dispute resolution system to address claims of the sort brought by Ukraine, involving an attempt by one State Party to interfere with and usurp the established maritime rights of another State Party. Russia has no plausible legal claim to sovereignty over Crimea. The Tribunal therefore cannot recognize such a claim as a basis to defeat its jurisdiction (or otherwise). Accordingly, Russia’s principal jurisdictional objection is manifestly not plausible and cannot justify the delay and risk of prejudice to Ukraine associated with a separate jurisdictional phase. This argument is quite remarkable because, in order to ascertain whether “Russia has a plausible legal claim to sovereignty over Crimea”, the arbitral tribunal will necessarily have to delve into the sovereignty question. This exercise, however, would be no different to assessing whether Ukraine or Russia has a claim to sovereignty in so far as it would require a legal analysis of legal questions unrelated to UNCLOS that arguably do not fall within the jurisdiction ratione materiae of the arbitral tribunal (acquisition of territory, use of force, secession, self-determination, etc.). One difference might arguably be that “plausibility” requires only that, assuming the facts asserted by Russia to support its arguments were true, the legal argument of Russia could be successful. Thus, it can be doubted that Ukraine’s argument will make the implicated sovereignty dispute magically disappear. [I]n its Reply, the Russian Federation contended that its sovereignty objection “does not raise any issues of fact at all,” nor does it require “in-depth engagement with the merits”; whereas according to the Russian Federation, “[i]t is common ground” that each of the Parties considers that it is sovereign over Crimea and thus the coastal State, “and hence […] the two States are engaged in a dispute over this critical issue of sovereignty over Crimea”; and whereas, accordingly, the Russian Federation argued that “[t]he sole question for the Tribunal is then a legal one,” and this “requires no more than characterization of the dispute, which is an entirely usual exercise for an international tribunal at a jurisdictional phase”. In our view, Ukraine is fighting an uphill jurisdictional battle here. Ukraine arguably cannot, as Peter Tzeng suggested, successfully argue that “there is no legitimate legal dispute concerning sovereignty over Crimea” because Russia’s illegal conduct affects Russia’s objection to jurisdiction under the principle ex injuria jus non oritur (Peter Tzeng, Ukraine v. Russia and Philippines v. China: Jurisdiction and Legitmacy, 46 Denv. J. Int’l L. & Pol’y 1 (2017), at p. 7). The reason for this is that, as the International Court of Justice has recognized (e.g. here, at para. 29 and here, at para. 64), jurisdiction is based on consent and the existence of consent to jurisdiction is an objective matter unaffected by questions of substantive law such as the principle of ex injuria jus non oritur. Instead of considerations of substantive law, the point of reference is an interpretation of Part XV of UNCLOS (and specifically Article 288(1)) as the basis for the consent of the parties. 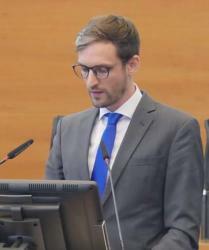 Even though the matter has so far not been addressed in the jurisdprudence of UNCLOS fora, there is growing discussion among commentators regarding an interpretation of jurisdiction ratione materiae under Part XV of UNCLOS to include a possibility to decide on implicated sovereignty questions of particularly low weight such as, for example, manifestly implausible abusive objections to jurisdiction in order to safeguard the integrity and effectiveness of the dispute settlement mechanism (see our poster and blog post; for similar approaches, see also Tzeng (cited above) and Proelss). There are also a variety of factors that can potentially be taken into account in ascertaining the weight of the sovereignty issue in a given “mixed dispute”. While these factors might potentially reduce the weight of the Crimea sovereignty dispute, it is far from clear that Russia’s objection based on its claim to sovereignty over Crimea would fall into the category of abusive objections. It will be interesting to see how the arbitral tribunal will deal with this intricate legal question. [I]n reality, Russia has seized Ukrainian gas fields in the Sea of Azov, purported to unilaterally nullify Ukrainian licenses for such gas fields, unilaterally built a bridge and other structures across the Kerch Strait, and imposed unilateral limits on the dimensions of vessels that may pass through the Strait. Each of these actions is irreconcilable with Russia’s assertion that Ukraine and Russia have maintained common sovereignty over the Sea of Azov and Kerch Strait — an arrangement that would entitle Ukraine to participate in the very hydrocarbon extraction, construction, navigational, and other activities in those bodies of water from which Russia has excluded it. Thus, the Ukrainian position might be closer to our second proposed scenario, under which the bay regime dissolved after Ukraine’s independence or at a later point in time. Under that scenario, the status of the waters in Kerch Strait and the Sea of Azov depends on the maritime claims of Ukraine and Russia – in which case there is a high seas patch in the Sea of Azov. However, there is no express confirmation that Ukraine adopted exactly this view. Second, Russia claims that “UNCLOS does not regulate internal waters” which, if true, would in our view deprive the arbitral tribunal of jurisdiction ratione materiae at least for those of Ukraine’s claims which relate to coastal State rights in Kerch Strait and the Sea of Azov. Third, Russia argues that “Kerch Strait is not a strait regulated by UNCLOS”. This is interesting because it proves that Ukraine claims passage rights through Kerch Strait. The question of how the waters in the Sea of Azov and Kerch Strait are classified is determinative for whether Kerch Strait falls into one of the categories of straits regulated by UNCLOS or rather customary international law. In the latter case, the arbitral tribunal would lack jurisdiction over claims concerning passage rights. In its fourth objection, Russia argues that in so far as the dispute concerns living marine resources in the Exclusive Economic Zone (EEZ), the arbitral tribunal lacks jurisdiction due to the ““automatic limitation” in Article 297(3)(a) [UNCLOS]”. 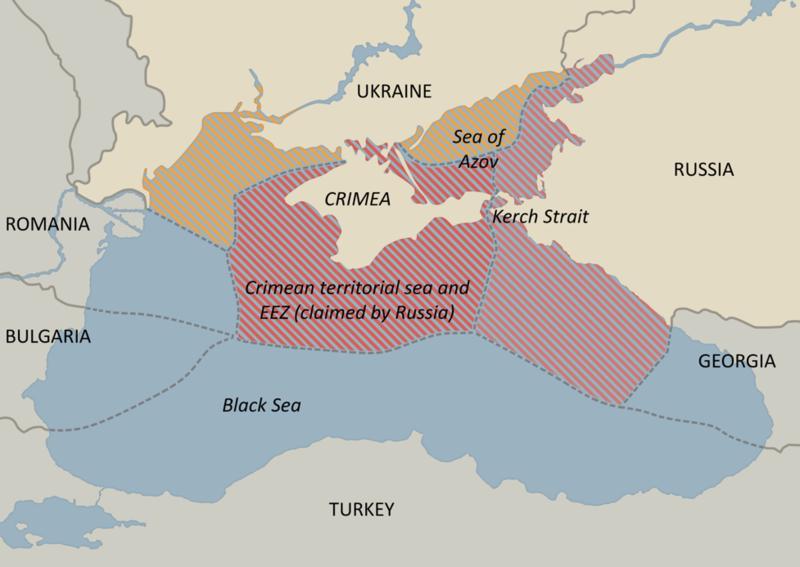 Since Russia submitted that the Sea of Azov and Kerch Strait constitute internal waters, this objection appears to be mostly relevant for fisheries matters in the Black Sea. The fifth objection relates to Ukraine’s and Russia’s declarations under Article 287(1)(d) UNCLOS choosing “special arbitration” under Annex VIII of UNCLOS “for the consideration of matters relating to fisheries, the protection and preservation of the marine environment, marine scientiﬁc research, and navigation”. Article 287(4) UNCLOS states quite unequivocally that “[i]f the parties to a dispute have accepted the same procedure for the settlement of the dispute, it may be submitted only to that procedure, unless the parties otherwise agree”. Accordingly, Russia argues that the Annex VII tribunal lacks jurisdiction over Ukraine’s “claims relating to ﬁsheries, protection and preservation of the marine environment, and navigation” (note that there is no reference to marine scientific research in Russia’s submission). With respect to the issue of passage rights through Kerch Strait and the Sea of Azov mentioned above, the reference to “navigation” might become an additional jurisdictional hurdle. To our knowledge, this objection has not been raised before. The outcome depends on whether an interpretation of the matching declarations shows an intention to express a clear preference for Annex VIII, in which case Article 287(4) UNCLOS might be applicable (but see the contrary view previously expressed by of one Russia’s counsels: Tullio Treves, Article 287, in: Alexander Proelss (ed. ), United Nations Convention on the Law of the Sea: A Commentary, 2017, at para. 25). But even then, the arbitral tribunal might still consider that Article 287(4) UNCLOS is not intended to split a broad dispute like the one at hand into a host of smaller disputes before different fora. According to Russia’s sixth objection the arbitral tribunal lacks jurisdiction “over Ukraine’s claims relating to the Sea of Azov, the Kerch Strait and other adjacent sea areas” based on Article 281(1) UNCLOS “because the provisions on dispute settlement contained in the State Border Treaty and the Azov/Kerch Cooperation Treaty”. As was first discussed by Tzeng, under Article 281(1) UNCLOS the arbitral tribunal would lack jurisdiction if (1) the dispute settlement clauses in the State Border Treaty or the Azov/Kerch Cooperation Treaty constitute an agreement “to seek settlement of the dispute by a peaceful means of their own choice” and (2) a settlement has been reached by recourse to them or (3) the dispute settlement clauses exclude any further procedure. In our view, however, it is quite unlikely that an arbitral tribunal would consider these dispute settlement clauses as exclusive, based on the recent jurisprudence on Article 281(1) UNCLOS (see Andrew Serdy, Article 281, in: Alexander Proelss (ed. ), United Nations Convention on the Law of the Sea: A Commentary, 2017, at para. 13). The arbitral tribunal’s Bifurcation Order offers valuable insights into key arguments of the parties in a politically sensitive and very complex, but unfortunately a confidential and non-transparent arbitration proceeding. It does not come as a surprise that Russia challenged the arbitral tribunal’s jurisdiction. Nor is it surprising that Russia’s main objection to jurisdiction ratione materiae is based on the dispute concerning territorial sovereignty over Crimea. It was also widely predicted that Ukraine would frame its claims strategically to bring them within the UNCLOS dispute settlement mechanism. However, Ukraine’s exact line of argument on jurisdiction was not previously known. It is interesting to see that the sovereignty issue is addressed “head on” unlike, for example, in the South China Sea Arbitration. If Russia’s first objection is unsuccessful, Russia has five more objections in place, some of which might successfully deprive the arbitral tribunal of jurisdiction over some of Ukraine’s claims. These objections are also most informative regarding the subject-matter of Ukraine’s claims. Importantly, Ukraine’s claims concerning passage rights through Kerch Strait and the Sea of Azov are probably not (only) claims relating to coastal State but flag State rights, which means that they might survive Russia’s first objection. They are, however, potentially covered by Russia’s second, third, fifth and sixth objection. Regardless of the confidentiality of pending proceedings, Ukraine vs. Russia introduces significant insights to the international law of the sea and general international law. Great post. On the point of objection 2 and whether it is a strait ‘under for international navigation’ you alluded to previously, the recent statements of the USA and EU might be interesting. The US comments upon “International Shipping Transiting the Kerch Strait”, while the EU points to vessels “transiting” the strait “including vessels from EU Member States”. Assuming they are knowledgeable on the confidential proceedings, that might be further evidence of passage right claims under UNCLOS, art. 38(1)? Secondly, perhaps jumping the gun as a substantive issue, any thoughts on whether the actual passage rights claimed would make a difference? Press reports (https://www.uawire.org/russia-blocks-the-sea-of-azov) point to inspection and detention of vessels heading to Ukrainian ports, whilst those going to Russian ports pass through rather quickly. For transit passage coastal states may not discriminate ‘among foreign ships’ (UNCLOS, art. 42(2)), but for innocent passage may not discriminate ‘ships of any State or against ships carrying cargoes to, from or on behalf of any State’ (UNCLOS, art. 24(1)(b) via application of art. 45(1))? Russian conduct would clearly violate article 24(1)(b) but not so evidently for 42(2). You raise a strong concern about confidentiality and transparency which is somewhat peripheral to your post. I am curious to see if there is something more to it than the fact that ‘the written submissions of both parties remain confidential’. Isn’t it quite common in international proceedings for the written submissions to remain confidential at least until the opening of the hearing (with the exception maybe of the instrument instituting proceedings)? 1. The US statements are cited as hyperlinks in the introduction, and they are certainly helpful (as are the EU statements) context for the question whether Kerch Strait is indeed “used for international navigation” as required by Part III of UNCLOS. 2. I do not have the drafting history at hand right now, but I am not sure Art. 42(2) UNCLOS, despite its wording, should be read that narrowly given the fact that innocent passage under Article 45(1) UNCLOS is only subsidiary to transit passage and should therefore grant less and not more protection in this respect. It could be said that there should a fortiori not be discrimination between foreign and national vessels. One additional factor, however, is the effect of the bilateral treaties in place – particularly potential inspection powers. This concern is indeed somewhat peripheral to our analysis and we do not argue that any rules or practices on transparency have been violated. The point we were making (perhaps too emphatically) is that it is a pity for the general public (as well as acedemia) that so little information is available on such an important and politically senstitive inter-State proceeding – and that this fact underlines the value of the information provided by the bifurcation order. The application to institute proceedings was not published, nor have the parties been very transparent about the exact content of their respective positions. Proceedings are usually more transparent, for example, before the ITLOS. If you want to research this further, you might want to check out the rules of procedure (https://pcacases.com/web/sendAttach/2136) and the separate order of the arbitral tribunal on confidentiality (https://pcacases.com/web/sendAttach/2270). I think was a gross mistake of Ukraine bring the issue under the knowledge of a arbritral tribunal . The matter involves the soveranight issue and the dispute remember me ( despite not all facts are equal ) the case of Malvinas and the settle of a ilegal fisheri zone sorrounding Malvinas and oil explotation over the Argentina continental shelf. I dont know how play the Ginebra Convention in that point .